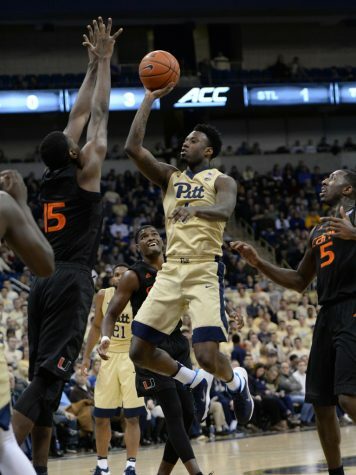 After a pair of disappointing losses on the road, the Pitt men’s basketball team returned to the Petersen Events Center looking to bounce back against the Miami Hurricanes Saturday afternoon. Instead, the Hurricanes (12-4 overall, 2-2 ACC) humiliated the Panthers (12-6 overall, 1-4 ACC) on their home court in a lopsided 72-46 victory. The game was actually competitive to start, but Miami took control late in the first half and dominated the second half against a shorthanded Pitt squad. 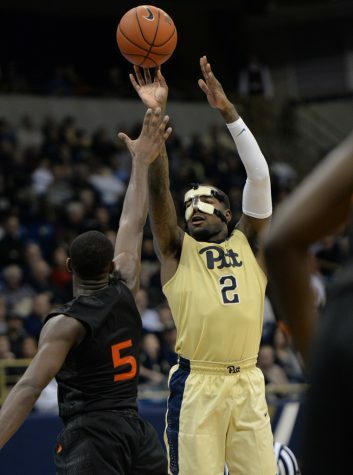 Pitt head coach Kevin Stallings admitted the game exposed a number of weaknesses for the Panthers. The Panthers, already lacking depth, were more undermanned than usual this time out. Junior forward Ryan Luther missed the game with a right foot injury sustained at Friday’s practice, and Young had to wear a protective mask after suffering a nasty eye injury Wednesday against Louisville. 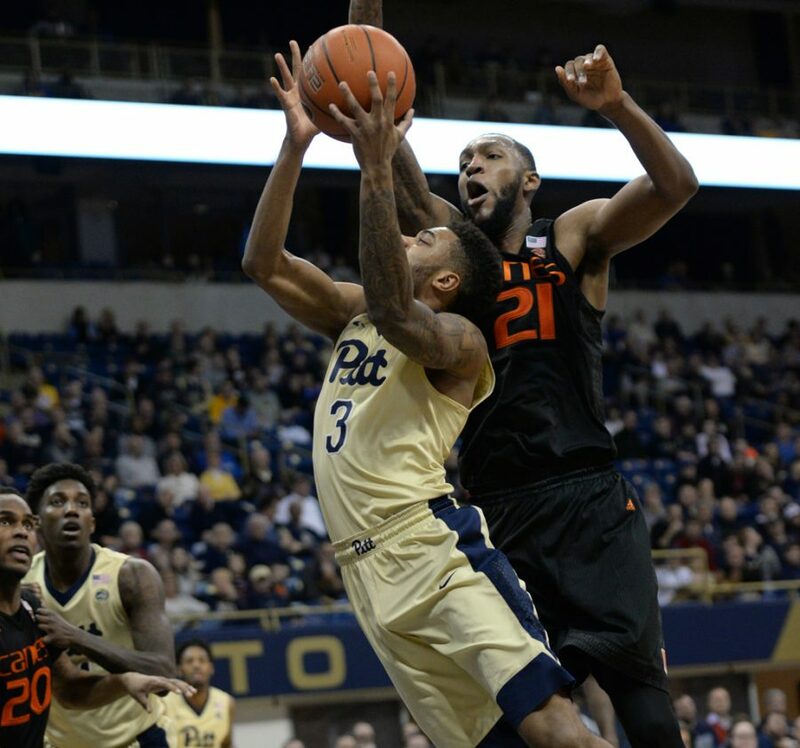 Young — Pitt’s second-leading scorer at an average of 22 points per game — finished with the worst performance of his college career, missing all 10 of his shots from the field and scoring only two points. According to Stallings, Young played through a fractured orbital bone. In hindsight, that may not have been the best decision, but his coach and teammates still applauded the heart he displayed. Meanwhile, Artis got off to another fast start, following up on his 43-point performance at Louisville on Wednesday by making his first two shots of the game. But the Hurricanes shot extremely well from 3-point range in the opening minutes, going on a 9-0 run with three consecutive 3-pointers to take a 16-4 lead. Unlike the Panthers’ last two games though, they managed to keep the score close, cutting the lead to seven with eight minutes left in the half. Pitt then surged back with a 10-3 run to close the score to 27-25 behind a pair of 3-pointers from sophomore guard Cameron Johnson. Miami withstood the run, bouncing back in the closing minutes of the half to take a 36-27 lead into the locker room. The biggest issue for the Panthers in the first half was the disappearance of Young, who was held without a point on seven attempts in the half and seemed visibly affected by the protective mask. After scoring the final seven points of the first half, Miami continued to stretch its lead, scoring the first seven points in the second half as part of a 14-0 run. The Panthers didn’t score until Young made a pair of free throws with 16:36 left — his first and only points of the game — to make it 43-29. The Hurricanes kept rolling, putting together an 11-2 run to take a commanding 54-31 lead midway through the second half. They cruised the rest of the way, as Pitt never made it close and Stallings pulled his starters with about eight minutes left in the game and the team trailing by 20. Stallings explained the decision to rest Artis and the other starters, pointing to the Panthers’ quick turnaround against North Carolina State on Tuesday. The key to Miami’s success was its stifling defense, which forced 14 turnovers and held the Panthers’ offense to an extremely low 26 percent from the field in the second half. Miami also had a strong day on offense, shooting 55.6 percent from the field and 47.6 percent from 3-point range. The Hurricanes were lead by guards Davon Reed and Bruce Brown, who finished with 18 and 17 points, respectively. This is the Panthers’ third straight loss, dropping them to 1-4 in conference play. It’s also the third straight game in which the team faced a deficit of at least 20 points in the second half. In order to have any chance of making the NCAA Tournament, there will need to be a drastic turnaround in their upcoming contests. Pitt will travel to Raleigh, North Carolina, next to take on the North Carolina State Wolfpack at 7 p.m. Tuesday, Jan. 17. N.C. State has won the last four meetings between the teams.